George Shaw always contributes a drawn pencil portrait of a deceased person, often a character from a b movie or tv sitcom of the 1970 or 80s. 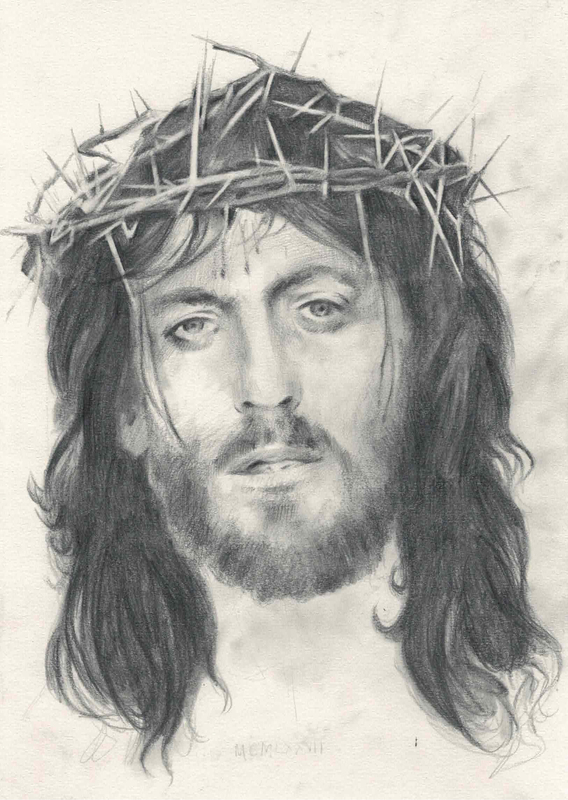 The drawing of Jesus is Robert Powell from the TV film ‘Jesus of Nazareth’. When it came out in 1977 it was a sensation and for years the image of Powell was how the artist imagined Christ.